In all honesty, the fact that our kids have a vast array of answers and opinions at their fingertips via Google and the internet is alarming. To think that they are being fed opinions and views that are far from the truth of God’s Word has put urgency in my heart to prepare myself in order to help my son be prepared to recognize the lies of the enemy. The other night I was reading in the book of Acts when the following passage jumped out at me. Then Philip ran up to the chariot and heard the man reading Isaiah the prophet. “Do you understand what you are reading?” Philip asked. “How can I,” he said, “unless someone explains it to me?” So he invited Philip to come up and sit with him. As I read that passage, I felt the Holy Spirit speak to me about preparing myself in order to help my son be prepared. I truly want to be able to help my son and the upcoming generation have an understanding of the truth of God’s Word, because it goes without saying, the world is doing everything possible to make them doubt that truth. I want to be able to invite them to sit with me and help them as I explain the beauty of the gospel of Jesus Christ. The definition of the word prepare according to Merriam-Webster is to make ready beforehand for a purpose, use, or activity. 2 Timothy 4:2 says, Preach the word; be prepared in season and out of season; correct, rebuke and encourage with great patience and careful instruction. 1 Peter 3:15 says, But in your hearts, revere Christ as Lord. Always be prepared to give an answer to everyone who asks you to give the reason for the hope that you have. But do this with gentleness and respect. I love how both passages tell us to be prepared in the Word, and to always share with patience and careful instruction and gentleness and respect. I’ve listened to Ravi Zacharias, a Christian Apologist, many times over the course of the last few months. He has a passion for the upcoming generation who are being bombarded with the lies of the world and he often holds Q&A sessions on college campuses to allow students to ask these questions. I have learned so very much from this man, but the one thing I love most about his approach to these questions is the gentleness and respect he gives the one who asks the questions. He is always patient and kind and gives careful, biblical instruction in love. This generation has access to information at their fingertips in a way I never did growing up. With social media, the internet, news media, and so much more, we as parents must strive to be alert and watchful and know what our kids are bombarded with on a daily basis. We must strive to always be learning ourselves and preparing ourselves, by not closing our eyes to the reality of what these kids are faced with. We must also allow our kids to ask the hard questions and strive to be patient and gentle with them as we seek to guide them with careful and biblical instruction. As I was thinking about how inadequate I felt as a parent in this generation, and how I grew up in such a different time than what my son is growing up in, the Lord graciously reminded me that although many things have changed over the years, His Word remains the same; it is alive and active and powerful and is a lamp unto my feet and a light unto my path. In that I will rejoice. If you’re like me and feel inadequate in the Scriptures, but have a desire to learn more, I highly recommend that you surround yourself with those who can help you learn. I never want to stop being a student of God’s Word. 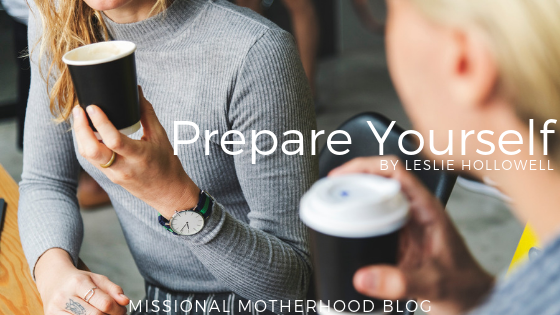 I have decided to be intentional about asking women to go grab coffee or lunch in order to learn from them and grow biblically, as I seek to prepare myself as much as possible for the days ahead. I love how in Acts 18:24-26 you see Apollos described as a learned man, with a thorough knowledge of the Scriptures. It says he spoke with great fervor and taught about Jesus accurately, though he knew only of the baptism of John, so Priscilla and Aquilla invited him to their home and explained to him the ways of God more accurately. Did you see that Apollos was described as a learned man with a thorough knowledge of Scriptures, but he went to the home of Priscilla and Aquilla and allowed them to explain the scriptures more accurately? Moms, let’s not stop learning. Let’s get with other women who can teach us so we can teach our children. Let’s learn to “walk with the wise and grow wise” (Proverbs 13:20) and prepare ourselves to be able to “give the reason for the hope we have in us” (1 Peter 3:15). 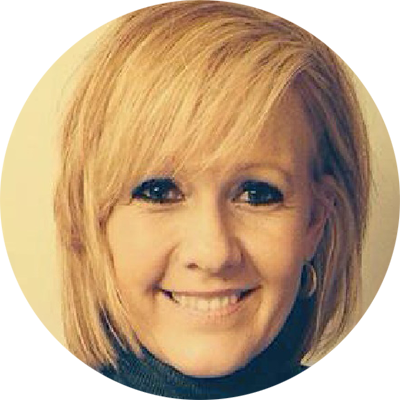 Leslie is an Alabama girl who now lives in Memphis, Tennessee with her husband, Ronnie, and their son, Hudson. Leslie considers being a wife and mommy the best job ever having married her husband at 38-years-old and birthing their son at 42-years-old. She is a former elementary school teacher and eventually made her way toward full-time Christian ministry as a girls ministry leader in her church. She is the founder of Beyond the Eye Girls Ministry and travels to speak to local churches leading one-day girls’ conferences. She has a heart for discipleship, mentoring, teaching, and encouraging young women to follow after God with all their hearts. Absolute truth young mothers need to hear! Our next generation is to put it bluntly, “up for grabs”. Thank you Leslie for staying true in changing times. Thank you for your encouragement Sandy! I strive to be a lifelong learner in many areas of my life. But, most especially of the Bible. It’s one thing I feel like I know more and more about all the time, and yet still feel like I have a lifetime of learning. I do hope to give my kids a head start on knowing truths of the Bible. I don’t just want to tell them Bible Stories, I want to intentionally teach them what they should know.